Breitling has extended its partnership with British motorcycle company Norton into 2019 and has introduced a Premier B01 Chronograph 42 Norton Edition to mark the occasion. Breitling CEO Georges Kern says the new watch honors the great partnership between these two aspirational brands “I think that anyone who puts one on might suddenly imagine ‘Born to be Wild’ playing somewhere in the background,” he laughs. The 42mm watch with a black face and white subdials has the Norton logo engraved on a plate on the left hand side of its steel case and printed on the crystal case back. It can be bought from this month on a leather strap with a folding clasp $8,500 or a steel bracelet for $8,800. 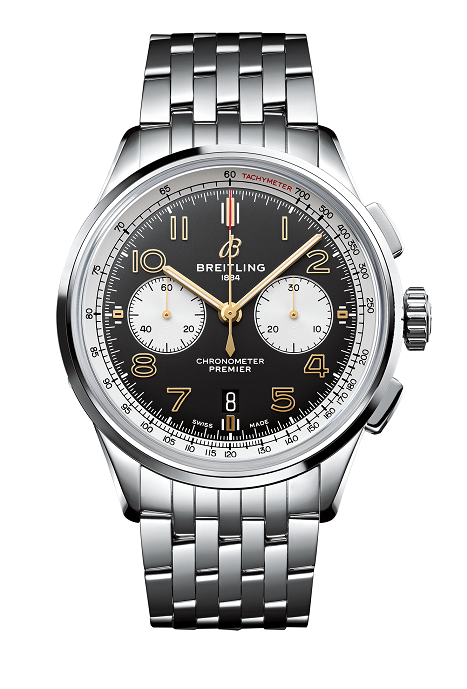 It uses the COSC-certified Breitling Manufacture Caliber 01 with power reserve of approximately 70 hours. Norton has returned the compliment with the creation of 77 Commando 961 Café Racer MKII Breitling Limited Edition motorcyles. 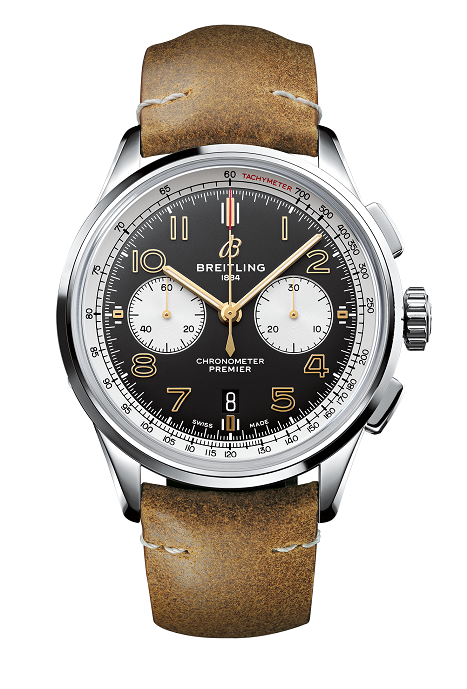 They have a vintage Breitling “B” engraved on the clutch box, Breitling-designed speedometer and tachometer dials, and a black-on-black vintage “B” stitched into the saddle.